What a year it's been, and it's not even fall yet! Starting in May, we launched our "EMA Season" consisting of three events in a span of a few weeks. Are we crazy? Maybe a little, but with things the way they are, environmental messaging has never been more urgent. Thankfully we were louder than ever before. With over three billion media impressions and tens of millions more on social media, our three events kept our hopeful message front and center for a global audience. We wouldn't be able to do any of this without our amazing Presenting Sponsor, Toyota Motor Sales, USA - 18 years and still going strong! We'd also like to thank our event sponsors Biossance, Earth Friendly Products, John Paul Mitchell Systems, JUST Water, Kellogg Garden Products, LAcarGUY Family of Dealerships, Montage International, Monterey Bay Aquarium, Patron Tequila, and Star Waggons. 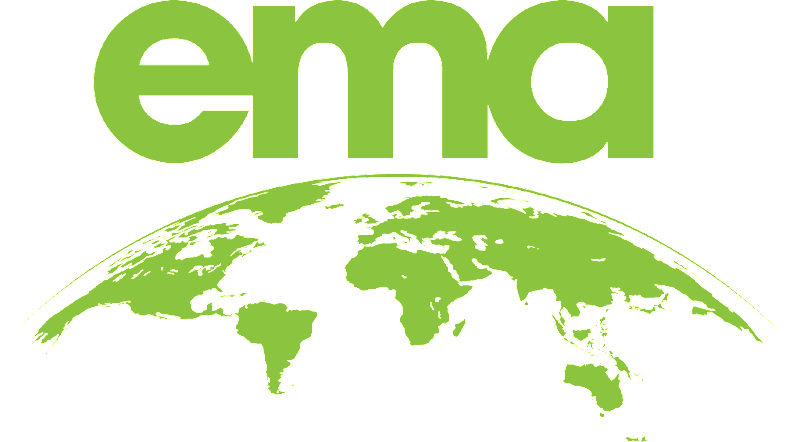 We love our partners and all they do for EMA and our planet. We want to extend our most sincere gratitude to our Hosts, musical performers, attendees, speakers, moderators, crew, and everyone else who worked hard to make it all happen. EMA IMPACT was in full gear for 2018, featuring scientists from MIT, billionaire business leaders, young environmental activists, and game-changing startups. Oh yeah, did we mention it's only our second year doing this? We started IMPACT with the goal of showcasing the potentials of a green economy as well as bringing game-changing ideas and innovations to the public. 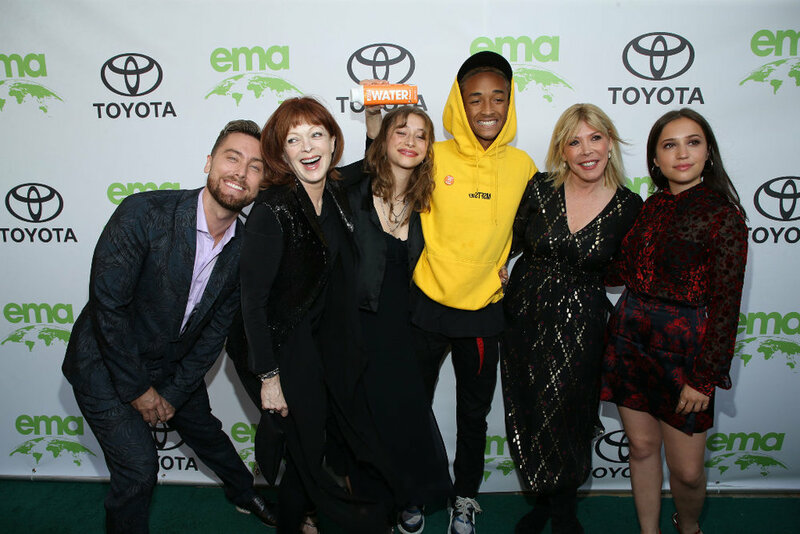 Further, this year's IMPACT put a focus on younger generations in the movement with EMA Executive Board Officer Jaden Smith co-presenting the Summit. Before we launched IMPACT, there wasn't an opportunity for the business, entertainment, tech, and science communities to collaborate all in one space. The potential of this form of collaboration was more than apparent at this year's Summit, which took place at the Montage Beverly Hills. Highlights included a galvanizing keynote speech from EMA Board Member Van Jones, Jaden Smith discussing the health implications of climate change with Dr. Jay Lemery, and a panel moderated by Board Member Wendie Malick of women business leaders focused on the need for diversity in management roles. And that was only a fraction of what was covered. In other words, you HAVE to be there next year. Van Jones calling for love to be the green economy's agenda sent a clear message that saving our planet includes everyone. Yes, that means red states, which is why we invited the charming Mayor of Georgetown Texas, Dale Ross, to come and speak in a conversation with EMA Board Member Ray Halbritter. Mayor Ross' city is proof that the green agenda works for everyone; Georgetown is the first city in Texas to go 100% renewable. The Mayor was able to achieve this by showing the town clean energy was better for the bottom line. He explained, "If you win the economic debate, you, in turn, win the environmental debate." All six of our EMA Future Innovator of The Year Finalists were incredible, which is why our judges had a hard time deciding before announcing WatchTower Robotics as the winner of the $50K Grant from New Pacific Holdings. To make an even bigger impact, speaker Garrett Melby, Co-Founder & Executive Director, GoodCompany Ventures, made a surprise announcement that they would be contributing another $20K to the winner. A moment that truly embodied the spirit of IMPACT. We'd like to thank Participant Media and Bloomberg Philanthropies for being additional event sponsors of IMPACT. The event reached millions on social media and was covered by Forbes, Hollywood Life, Access Hollywood, WWD, and many more publications. Our iconic EMA Awards had a new look this year. Moving to the spring and without Honoree speeches, the new and improved Awards put even more focus on the nominated projects. Hosted by EMA Board Member Amber Valletta, the elegant affair included a sit-down dinner, a musical performance, and plenty of laughs provided by a special guest appearance from comedian Pamela Adlon - Pamela, we'd like to thank you for bringing your talented daughters to assist. The Awards featured our legendary green carpet and a cocktail reception on the terrace of the Montage Beverly Hills. The carpet was star-studded, with new faces such as Jenna Dewan, Leona Lewis, and Bill Nye joining EMA Board Members Jordana Brewster, Constance Zimmer, Lance Bass, Ed Begley Jr., and many more. After a standing ovation, EMA President & CEO Debbie Levin took the stage and reminded us of the importance of the Awards. "It remains so impactful to watch TV, movies, and listen to music and see content that educates and motivates the audience." In addition to green messaging in the media, EMA's role in raising awareness was also a focus of the evening. Before presenting "Jane" with Best Documentary, Jaden Smith took the time to reflect on EMA's influence, "What EMA is doing is impacting the world in a way that is just beyond belief and creating awareness in all the right places." Another highlight of the evening was the Montage Beverly Hills receiving the first EMA Green Seal for Hospitality. Presented by EMA Board Member Sarah Wright Olsen, the luxury hotel accepted the Seal as a challenge to do even more. This was the cherry on top of another record year for our EMA Green Seal program for film and television. Adding another 116 in 2018, we are now over 1,000 in total! Finally, our dear friend T.A. Barron closed the night on an inspiring note, doing a reading from one of his incredible Merlin Saga books, to emotionally remind us all what brings our global community together around the issue that binds us: Our connection to nature. Congratulations to all of the nominees and winners! The EMA Awards were featured in The Hollywood Reporter, NBC, Access Hollywood, Just Jared, and many other media outlets. From the green carpet to the show Hosted by EMA Board Member Amber Valletta, relive the excitement of the 2018 EMA Awards. Toyota Presents the EMA Awards. Where IMPACT is about solutions and the EMA Awards is about messaging, EMA Honors is about setting an example through action. Our wonderful Host Ellen Pompeo set the tone early, “We all have choices to make in this life and tonight we are reminded that the environmental movement can no longer be just a cause, it has to be a way of life.” Attendees got to listen to four incredible Honorees who have done just that. Few people better personify the environmental movement than our first Honoree, the iconic Jane Fonda. Jane's dear friend Lily Tomlin presented her with the EMA Female Lifetime Achievement Award and described her impact succinctly, "She has become one of the most important influencers on our planet today." In true Jane fashion, she ended her speech with a call to action, challenging everyone watching to get out and vote this fall. After a thoughtful introduction from EMA Board Member John Paul DeJoria, Male Lifetime Achievement Recipient and EMA Board Member Ray Halbritterexplained how Native Americans view stewardship to our planet as a way of life. “Only we didn’t call it environmentalism. It was and still is, an entire way of life for my people.” As CEO of Oneida Nation Enterprises, Ray has found great success for his people without it coming at the expense of future generations. Finally, EMA Board Member and LAcarGUY Owner Mike Sullivan received the EMA Corporate Responsibility Award. “A lot of the things I do are really a bunch of little things, and hopefully they aggregate up into something more meaningful." Mike was modest, as he’s the number one hybrid salesperson in North America. In case anyone needed proof of how he's changed the way LA drives, EMA Board Members Ed Begley Jr., Wendie Malick, Lance Bass, and Perrey Reeves introduced Mike with testimonials on how he got them in a Prius. 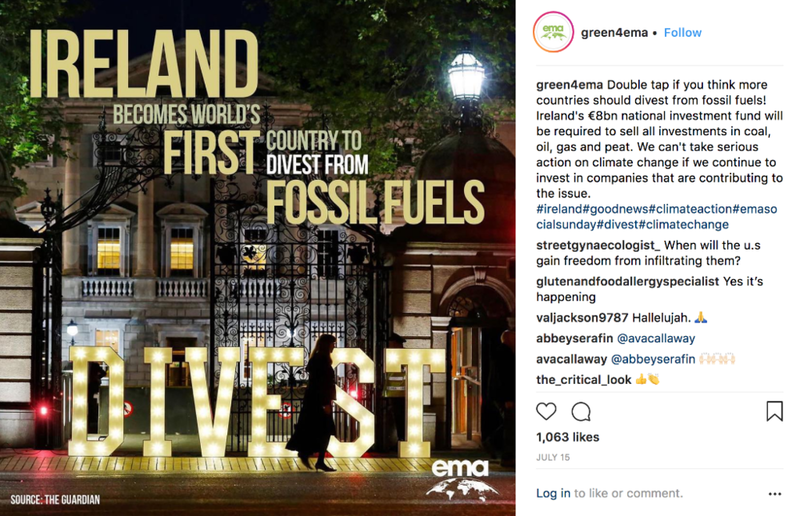 With a focus on how EMA is the only voice that can compete with the big polluters, the evening's Live Auction raised funds to support EMA’s ongoing programs and messaging campaigns. Our most gracious thanks to all who donated and bid. Who said a green lifestyle isn't fun? EMA ended the night with an unforgettable party that included a performance by the legendary Snoop Dogg and yummy cocktails by Patron - with paper straws, of course. A huge thanks to Joey Gonzalez and Jonathan Rollo for providing their gorgeous home and Ludo Lefebvre for preparing a delicious vegan dinner. The event was featured in The Hollywood Reporter, Daily Mail, People, and many more. We'd like to thank our amazing Host Committee Estee Stanley, Alexx Monkarsh, Madison Karsenty, and Marina Afshar. From the green carpet to Ellen Pompeo as Host, relive the excitement of the 2018 EMA Awards with our sizzle reel. Toyota Presents the 2018 EMA Honors Benefit Gala. For Shark Week, EMA wanted to focus on the role consumers play in saving sharks and other animals that are unnecessarily killed to make cosmetics. We partnered with our friends at Biossance, a biotech company, and EMA Board Members Constance Zimmer, Lance Bass, and Ashlan Cousteau to make a video that calls on people to not buy cosmetics made with animal-derived ingredients. The video focuses on squalene, an ultra-moisturizing ingredient found in many cosmetic products. Squalene is traditionally harvested from deep sea shark livers. Thankfully, a squalene alternative can be made from sugarcane called squalane. Though shark week has passed, it’s not too late to spread the message. Please share the video on social media. Please Share Our Video And Help Save Animals!